Welcome to my site! 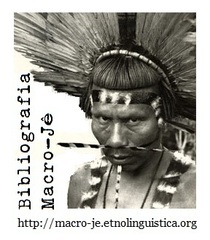 - Macro-Jê linguistics, &c.
My name is Eduardo Ribeiro. 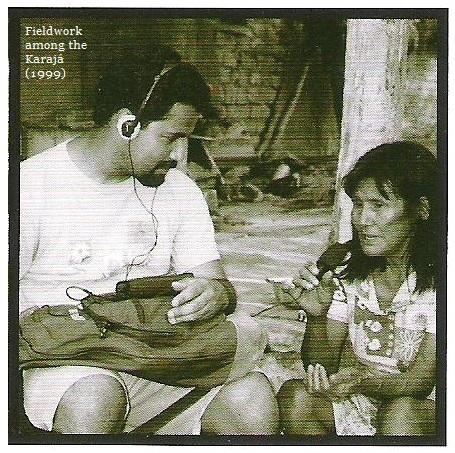 I’m an anthropological linguist working on the documentation of indigenous South American languages (particularly those of the Macro-Jê stock), as well as the dialectology of (Brazilian) Portuguese. This site provides information on my current research interests, illustrated through a few published papers, conference abstracts, and preliminary research notes. Visitors who share similar interests, or who would like to learn additional details about my research, are strongly encouraged to contact me. ▴"Tribus Gê". 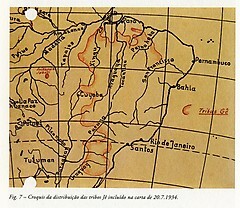 Map by Curt Nimuendaju (in Cartas do Sertão, organized by Thekla Hartmann, 2000, Museu Nacional de Etnologia/Assírio & Alvim, ISBN 927-37-0625-3). Nimuendaju (1883-1945) was the first to suggest that the Djeoromitxí and Arikapú languages, which form a small language family in the Brazilian state of Rondônia, were genetically related to the Jê family of Central Brazil. A recent paper, available here, corroborates this hypothesis.